In 1990, the ARPEGE MUSIC company was created by Dominique Vandenneucker with the purpose of putting computer science and electronics at the service of art. The idea to create a music notation software was already in the air. After coordinating the activities of ARPEGE, the first lines of the program were written in 1992. 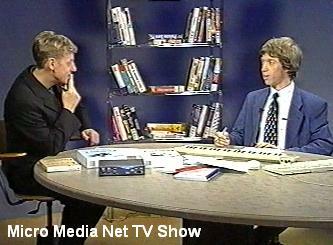 A software framework was developed to program on both Microsoft Windows and Macintosh. 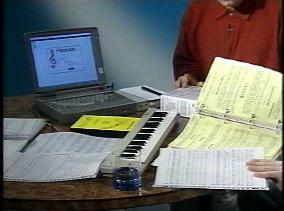 The first notes appeared on the screen at the beginning of 1993. 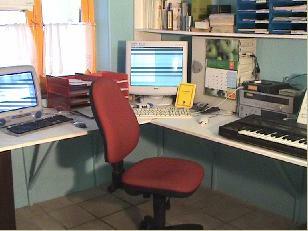 While developing Pizzicato, ARPEGE was distributing information about computer aided music. Every Friday evening, the public could visit us, receive information and buy music software already on the market as well as some basic music devices (synthesizers, sound cards,...). The purpose was to communicate with the public to know what was necessary for computer aided music and also to analyze the public's needs. We finally conducted a survey which helped us to better conduct the Pizzicato project. 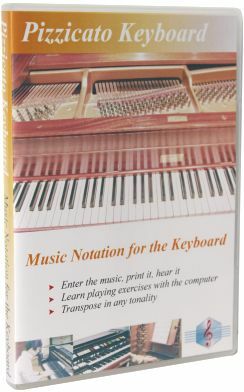 The first conclusion of this survey was that there was no software available which did combine a professional tool and a didactic approach for the beginner in music or in computer science. At that time, ARPEGE was helping people to find a compromise within the existing products. 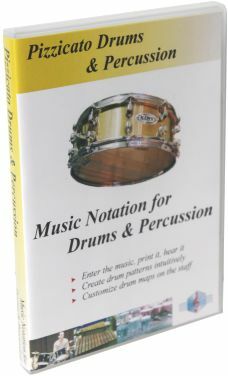 Our target was thus definitely fixed: to develop a music notation software which would be accessible to beginners in music and in computer science and which nevertheless would help them to compose their own music in the vast area of computer aided music composition. 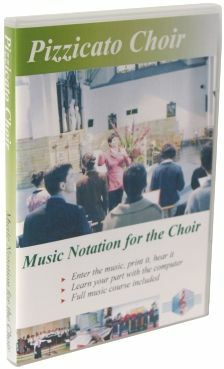 The target was also to make a powerful music notation software to help the professionals work more efficiently. Ultimately we had some innovative ideas to review the musical interface and composition tools. 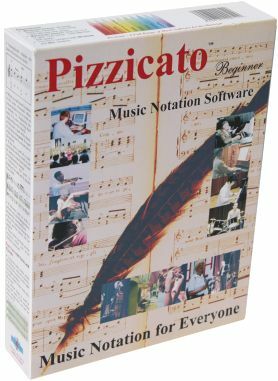 In 1992, a complete plan was elaborated for a music notation software, later called "Pizzicato". 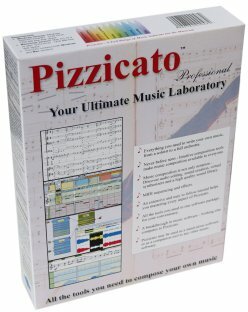 We wanted Pizzicato to run under Microsoft Windows, Macintosh and DOS (this last option was later abandoned due to the generalization of Windows 3.1 at that time, used to standardize the computer interface). At the beginning of 1995, the Pizzicato main features were ready. Nevertheless we still had a great effort to do to fully test it and to write the user manual (6 months to write it!). 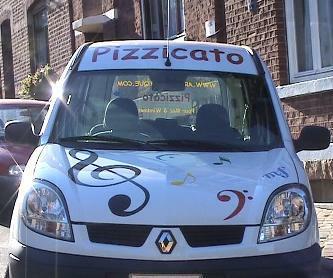 In October 1995, we decided to launch Pizzicato on December the 15th. We made a marketing campaign and version 1 for Microsoft Windows and Macintosh was presented during 3 days at ARPEGE. Pizzicato was met with great enthusiasm. At that moment the marketing work really began. A good product does not sell all by itself. We had to make it known and motivate resellers. We experimented direct marketing and also through music and computer shops, resellers and export. The price of Pizzicato 1 was around 350 $ and we only reached a public that was quite motivated. 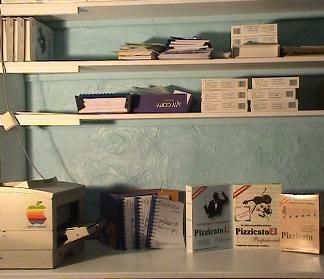 At the end of 1996, ARPEGE launched Pizzicato Beginner and its price was around 150 $. This version reached a larger public and was sold in the FNAC and EXELL shops in Belgium. The product, presented at the Media-Planet exhibition in Brussels in 1996 got the Press 3rd price in the multimedia software category. Pizzicato was presented on the Belgian Television in 2 shows and is now regularly reviewed by press articles. While continuing to market Pizzicato in the musical world and to the general public, ARPEGE designed Pizzicato 2. 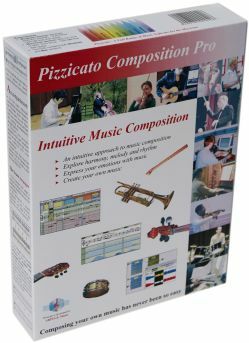 Advanced features suggested by users were added to make Pizzicato easier to use. With the purpose of making music accessible to everybody, we launched another product: Pizzicato Light. 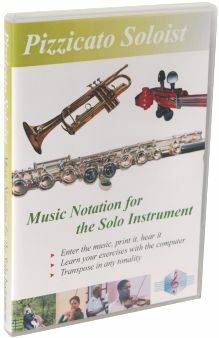 For a very low price, you could learn music and start working with a basic music notation software. The price would no more prevent the public to discover computer aided music. Thus Pizzicato 2 (Light, Beginner and Professional) for Microsoft Windows was released in 2000. Pizzicato 2 for Macintosh appeared at the end of 2001. With version 2, we launched a campaign to bring people to learn and practice music. Since then and with this purpose in mind, our website offers the complete Pizzicato music course for free. 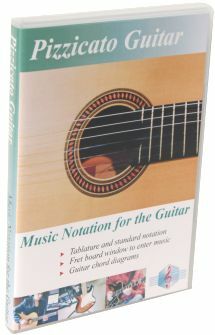 Everybody may download the evaluation version of Pizzicato and follow the music course on-line. Since the beginning, the marketing was the "big deal". Marketing efforts were reaching the target, but were slowing down the development. Since 2002, this problem has been progressively solved. In fact we launched a new marketing strategy, directly selling an "electronic version" of our Professional and Beginner products, at a cheaper price. Since that moment, sales generated by our website increased. Before that, our product was mainly sold in Belgium, but after that, the market became the world. One day, we were quite surprised to discover an article about Pizzicato in the "Journal of Montreal"! One year later, ARPEGE launched a music education program for music schools, choirs, orchestras and bands, but also for colleges and elementary schools. 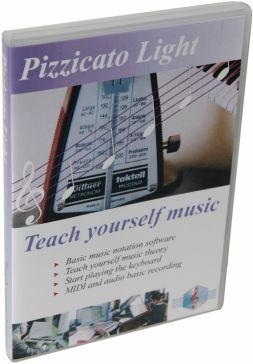 The idea was to give teachers and students, conductors and musicians a free version of Pizzicato Light, so as to make music education and computer aided music broadly known. 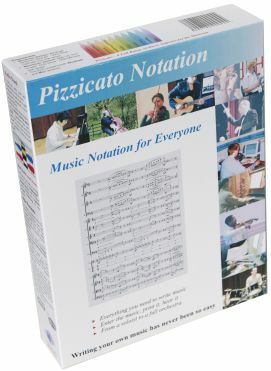 At the end of 2003, Pizzicato, its full user manual and the website were translated in English, again with the same purpose in mind: to make computer aided music available to everybody. In March 2005, Pizzicato 3 for Microsoft Windows was published. A new set of composition tools were designed as well as the features mostly asked by users. In September 2005, Pizzicato 3 was finally available for Mac OS X. 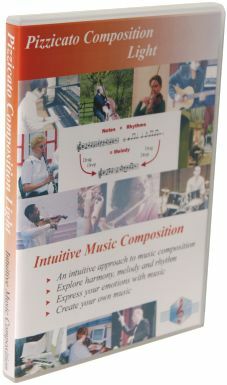 Aside from the development of Pizzicato, our know-how in computer aided music helped us to collaborate as a consultant for the studios of the internationally known musician and composer VANGELIS in Athens and also to participate in the development of the Music-Touch software for beginners in composition, with the CONTINENTAL STRUCTURES company. After about sixteen years of development, ARPEGE has a software well appreciated by all kinds of users. ARPEGE continues to develop it. It requires time but we always have a very clear purpose: "To make music and composition available to everyone" and we will do our best to create an ideal software framework for computer aided music.